The Cannabist started off December proper with the first of our series of gift guides to get the marijuana enthusiast in your life geared up in ganja style this holiday season. Moving on from the mainstream, we’re hitting this next one hard with statement makers for those who make their love of smoking no secret. Here are our picks for pot-proud presents — all available online — because shopping is always better with a buzz. 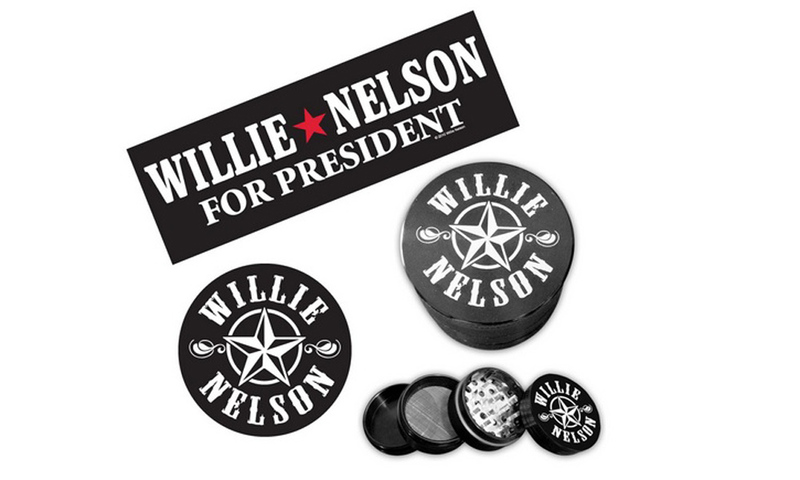 Have something that’s weed worthy? Email me here for consideration. 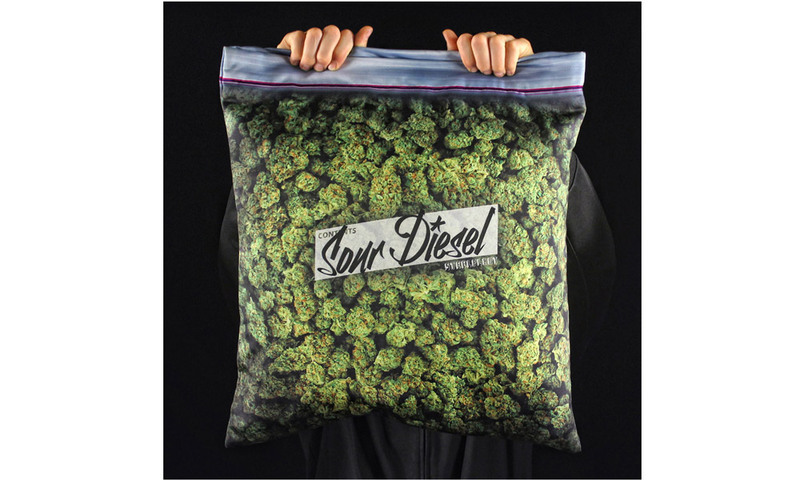 Successfully funded on Kickstarter earlier this year, this outsized zip-lock bag of Sour Diesel is now an official part of the Steelplant collection. Washington-based designer Ryan Christensen’s inspiration? The dreamlike effect of the sativa strain. The pillowcase is also outfitted with an internal pocket for aromatherapy. Hitting the hay for a post-smoke nap will go straight to the dome. 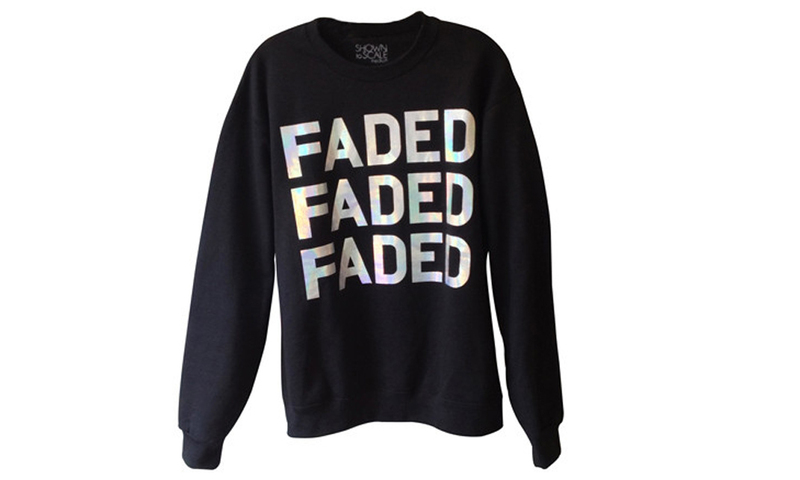 For those who love to flaunt how faded they get. 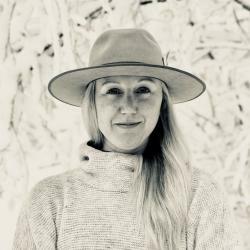 Basically everything you need to know about modern pot culture from Elise McDonough, a 12-year veteran of High Times magazine. And if you’re not convinced, The Cannabist’s own John Wenzel gave the book a glowing review. 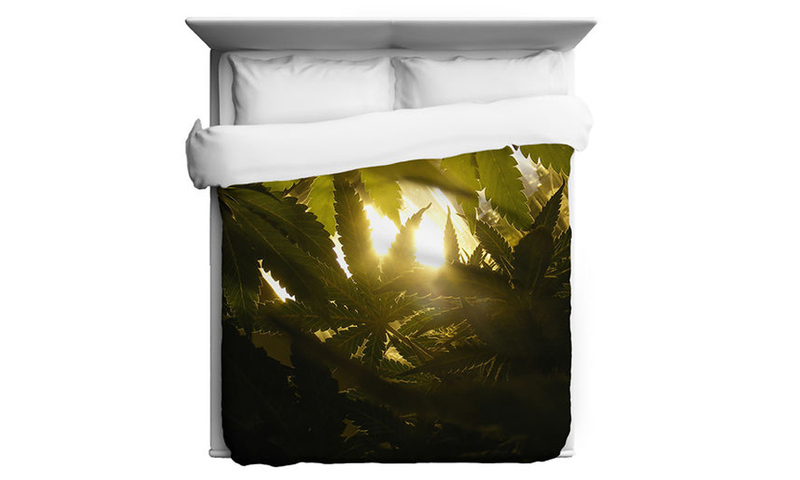 Socially conscious Sharp Shirter teamed up with Karmaloop’s home line on vivid bedding designs for the serious smoker. This exclusive print, along with Purple Haze, are on pre-order but guaranteed by Christmas. 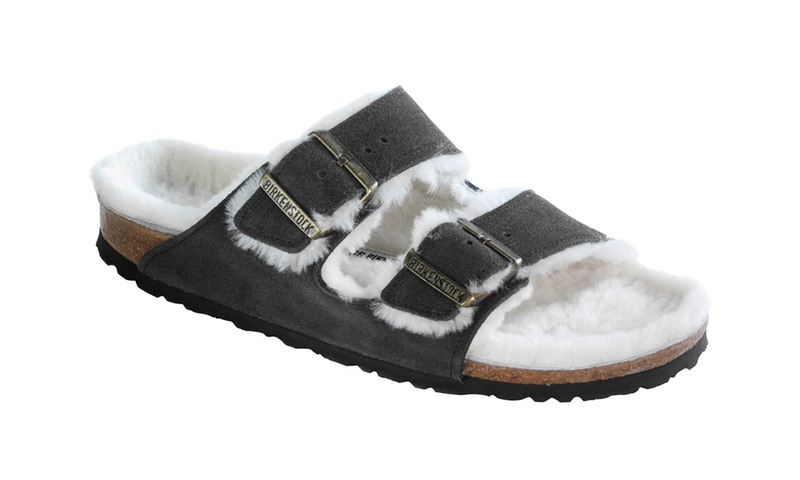 The footwear of choice for stylin’ stoners (and sudden “it” shoe of this past summer), Birkenstock has finally embraced winter weather with cozy versions of its Arizona, Boston and Madrid styles. Smoke #? OK! We’re so on team UNIF – the Los Angeles-based brand of street wear loved for its sarcastic emblazoned tees, tanks and accessories. 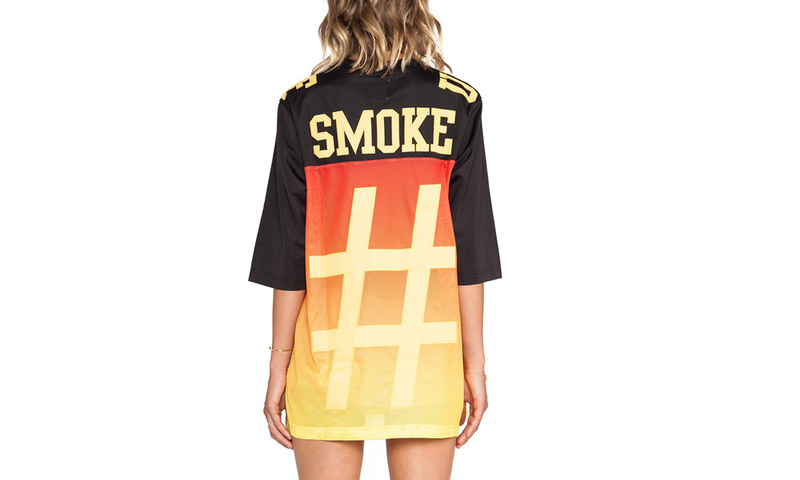 The oversized jersey is unisex, but works best as a dope dress for the ladies. 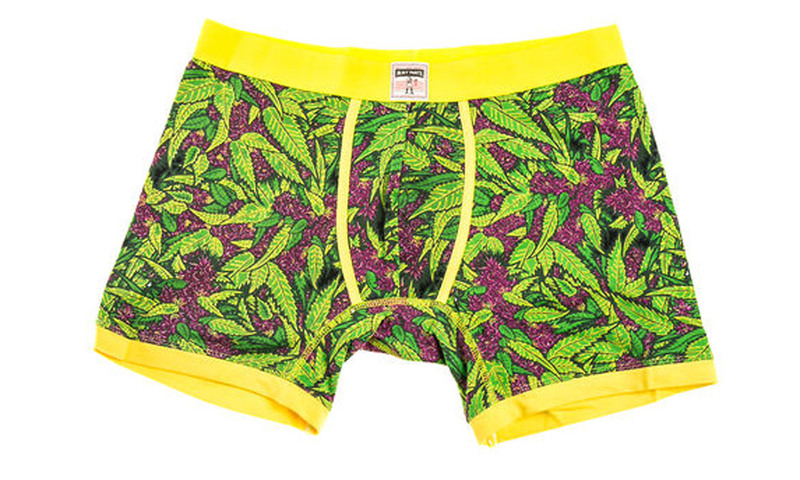 Dudes: it’s not Christmas without new underwear, right? The “Sticky Icky” design plays up the purps, while the log-and-marijuana leaf mashup in the “Morning Wood” pattern is pretty stellar too. No one does nostalgic pop culture like Clashist with its digital prints. Techie/designer Heather Lipner creates character mashups of Wes Anderson characters and the likes of Snoop Dogg, Johnny Depp, Miley Cyrus, Seth Rogen and James Franco. 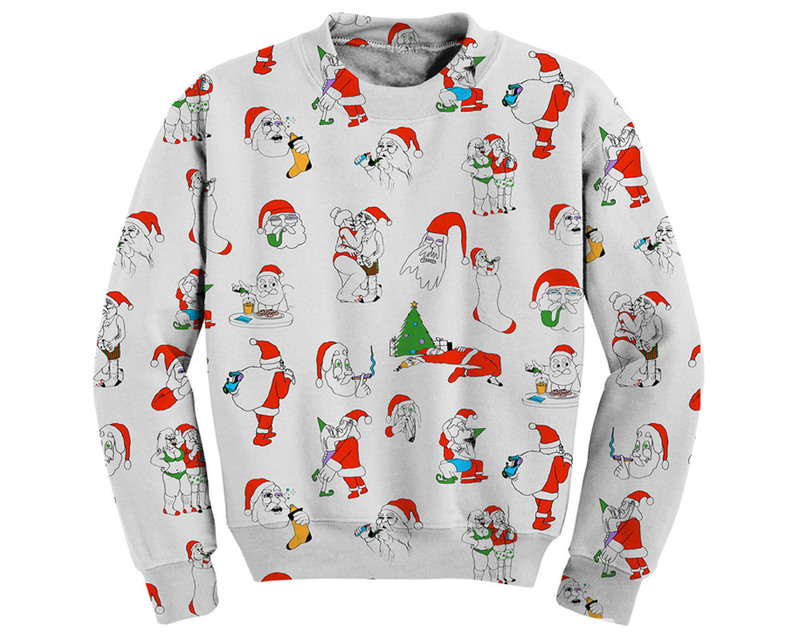 This season, opt for the limited-edition “Naughty Santa” who’s hitting a pipe and getting frisky with Mrs. Claus wrapped in Ryan Gosling. 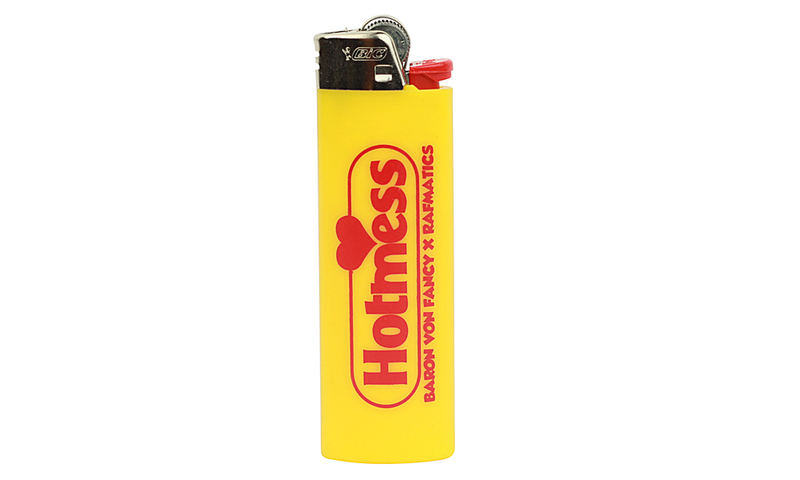 Social media art world star Baron von Fancy puts his stamp on a classic Bic for all you hot messes out there. The talk: Holidays 2014 — isn’t it time to you came out to your parents as a pot smoker?